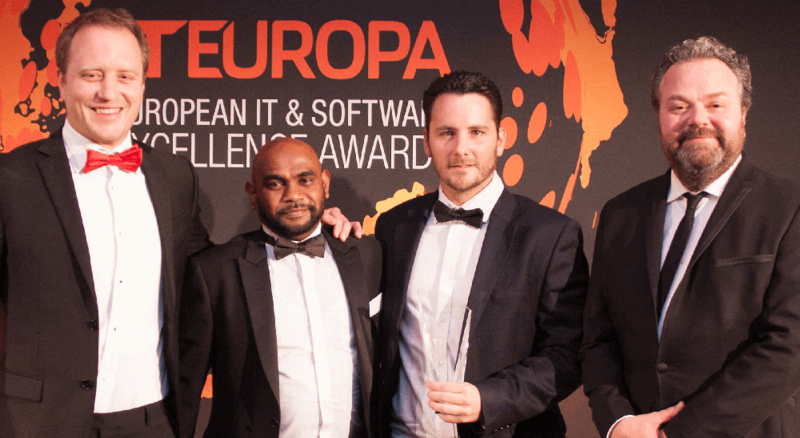 Cisilion won the coveted Best Enterprise (On-Prem/Hybrid) Solution at the 2019 IT Europa Awards thanks to our industry leading Next-Generation Cisco Collaboration deployment with insurance giant Lockton. The solution powered by Cisco features Jabber, Webex Teams, Webex Meetings, Webex Boards and an extensive Cisilion User Adoption Programme. The win supports Cisilion’s considerable expertise in the insurance sector. Firmly established as Europe’s most prestigious IT channel awards, the European IT & Software Excellence Awards brings together leading ISVs, Solution Providers and Systems Integrators from across Europe to demonstrate their ability to provide industry-leading IT solutions for their clients. "Combined with Cisilion’s User Adoption strategy, the reliable and scalable solution enables Lockton to embrace next generation collaboration, providing live chat, conferencing, meeting rooms, digital boards and live document sharing."